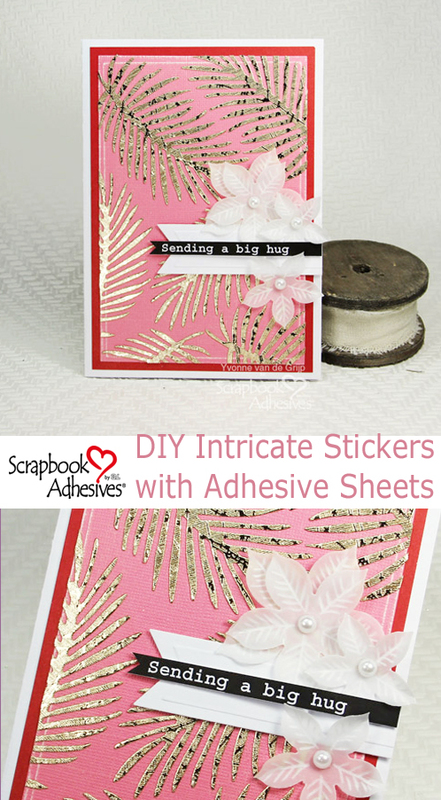 Hi everyone, Yvonne here with a sparkling Golden Leaves Card using Adhesive Sheets 4×6 inch to make gorgeous golden stickers to embellish your card. Who can resist vellum? 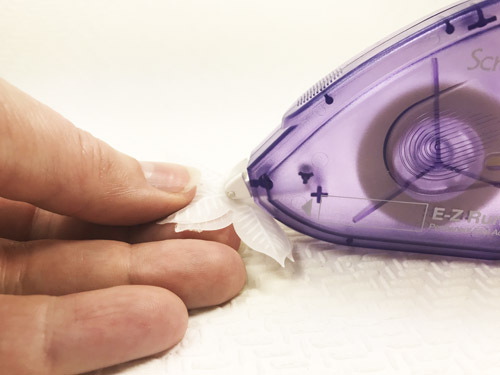 It’s very delicate to adhere but I will show you that the E-Z Runner® Permanent Fine Adhesive Dispenser is perfect for adhering without showing! Let’s get to it. 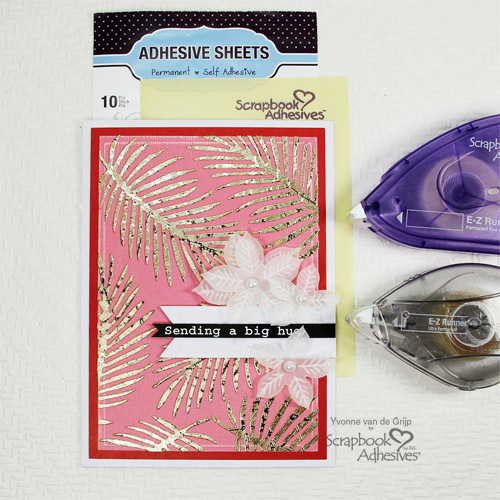 Start with adhering the first layer of dark pink cardstock that is slightly smaller than the white card base using the E-Z Runner® Ultra Strong Refillable Dispenser. For the second layer, I used a soft pink cardstock. Choose a rectangle die that is slightly smaller than the first layer. Die-cut, emboss and sand the embossed edges of the card layer. Put aside to make the gold leaves. Take a sheet of Adhesive Sheets 4×6 inch and remove the yellow liner. Place on the back of a gold mirror cardstock. Now you have made a beautiful sticker sheet that is ready to be die-cut. 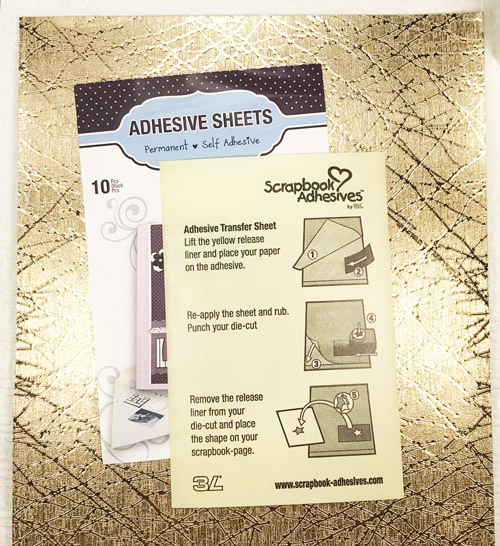 View a quick How to Use Adhesive Sheets video below. Die-cut several leaves from the gold sticker sheet created. Place them on top of the soft pink layer to determine placement. Don’t forget to place a few off the edges. After I was satisfied with the number of die cuts and placement, I removed the white liner from the back of each leaf and adhered down to the layer. Finally, adhere the top layer the card base using the E-Z Runner® Ultra Strong Refillable Dispenser. First die-cut a banner from white cardstock and adhere to the card using Crafty Foam Tape White. Next die-cut and emboss several flowers from vellum. Curl the edges of the flowers using your fingers for dimension. 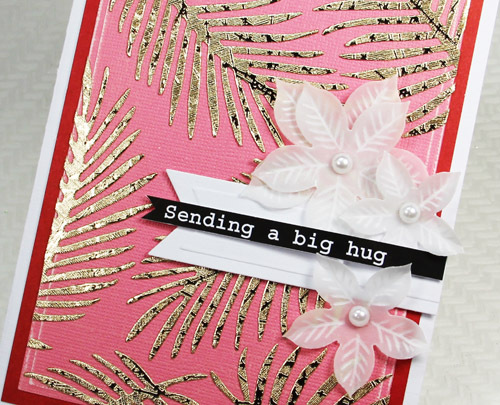 The best way to adhere these flowers to the card is with the E-Z Runner® Permanent Fine Adhesive Dispenser. The E-Z Runner® Permanent Fine Adhesive Dispenser is slightly opaque, but will dry clear over time! Next, add self-adhesive pearls to the flower centers. 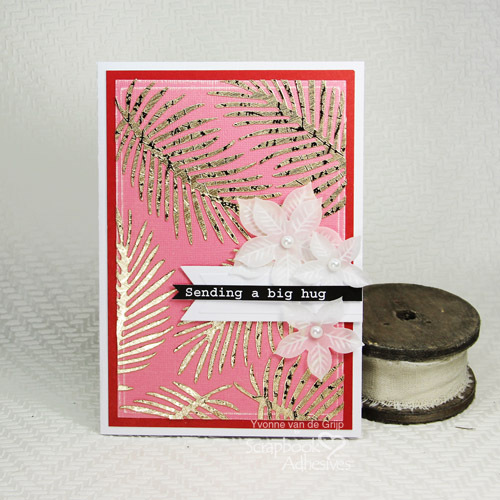 For the final touch, cut a sentiment banner and adhere to the card using two tiny stripes cut from Crafty Foam Tape White. And voila, your Golden Leaves card is ready! Wishing you happy crafting! This entry was posted in Adhesive Sheets, Cards, Crafts & Tutorials, Crafty Foam Tape, E-Z Runner® Dispensers, Intermediate and tagged Adhesive Sheets 4x6", Card, Card Making, Crafty Foam Tape White, E-Z Runner Permanent Fine, E-Z Runner Ultra Refill, E-Z Runner Ultra Refillable, Tutorial, Video, Yvonne van de Grijp. Bookmark the permalink.